Brake safety is extremely important among commercial vehicles, most of which are large vehicles which require substantial braking power to bring to a stop. 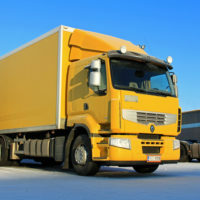 Ensuring that these brakes are functioning is an important role of truck inspection stops, but many commercial vehicles with shoddy brakes still manage to escape inspection. In order to address the problem of brakes in poor condition, law enforcement across the country dedicates a week each year to focusing on commercial vehicle brake inspections. This year, the inspection blitz will take place from September 11 to 17. The Commercial Vehicle Safety Alliance (CVSA) is a nonprofit safety association composed of representatives from a variety of law enforcement bodies and federal transportation safety organizations. Each year, the CVSA teams up with the Federal Motor Carrier Safety Administration (FMCSA) to initiate Brake Safety week, checking the brake systems in thousands of vehicles across the US and Canada for failed components or systems that are out of adjustment. During 2015’s Brake Safety week, law enforcement inspected over 18,800 vehicles. Over 2,300 vehicles, or 12.3% of all vehicles inspected, were taken out of service after failing to pass the brake inspection. If you or someone you love has been injured in an accident with a large truck in New Jersey, seek an attorney experienced in truck accident litigation, and contact Wayne personal injury and truck accident law firm Massood Law Group, LLC for a consultation, at 973-696-1900.